This Cup is played between the previous season Premier League winners which were Lei City and FA Cup winners which were Manchester United. Both teams have been playing various pre-season friendlies and have been getting their basics right, and the managers are getting their strategies right before the start of the season. 7th August 2016 at 20:30 (IST). Wembley Stadium, Wembley, United Kingdom. Leicester were the league winners in the 2015/16 season and their triumph surprised the whole world. They were in the Championship in the 2013/14 season and got promoted. After that, they survived the 2014/15 season and won the league in the following season. They have made their mark in the Premier League even before Liverpool who is considered a very strong team in the Premier League. Leicester City played like one team, and each player did his part and did it perfectly which made all the difference. Two men come in the limelight, Jamie Vardy, and Riyad Mahrez, both were brilliant in attack and scored important goals for the team. In defense, their captain Wes Morgan and Fuchs were the best players and in goal Kasper Schmeichel did their part with ease. They have made some changes to the squad as they have brought in a new striker from CSKA Moscow, Ahmed Musa for a contract until 2020. 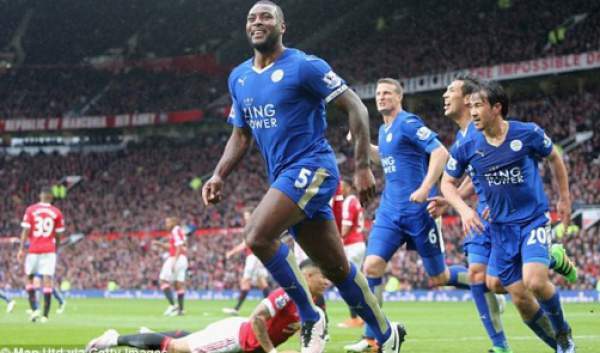 They have extended the contracts of many of their star players like Jamie Vardy who was being linked with Arsenal until 2020, Wes Morgan until 2019. Manchester United have started their pre-season in the International Champions Cup in group 3 with Borussia Dortmund and Man City, but their match against Manchester City was canceled. They recently played a testimonial for Wayne Rooney against Everton which ended in a draw. They played another friendly against Galatasaray and won the game by 5-2 in which Ibrahimovic, Rooney, Mata and Fellaini scored and Antonio Valencia assisted three goals. Man United have spent a lot of money yet again in the transfer window and is still waiting for the title which they won last in 2012/13. You can watch it live on Fox Sports Go, Fox Soccer 2 Go (U.S.), BT Sport (U.K.), Sony Liv. Come back for the match result, full video highlights, scorecard, and much more. Don’t forget to share it on social media sites. Stay tuned to The Reporter Times for latest football news and updates.